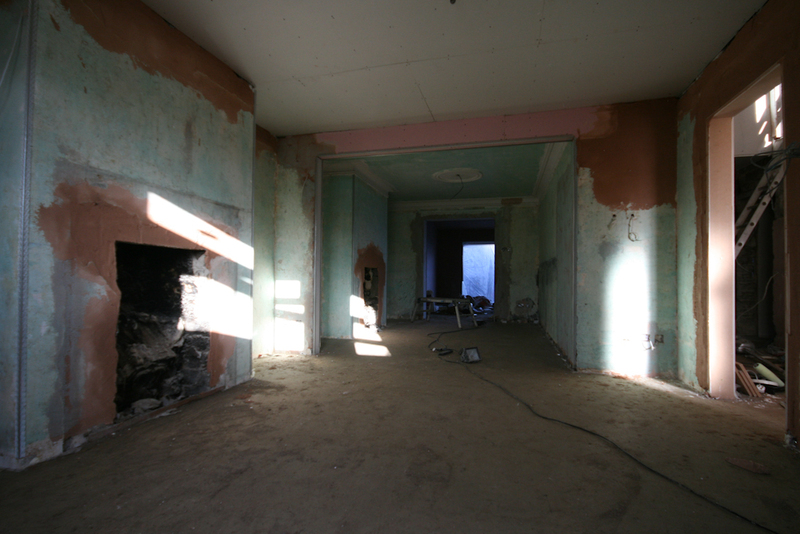 I’m currently renovating a house in Dublin. One of the hardest parts of the project has been identifying building contractors and suppliers that offered the services I needed, good value for money and were easy to work with and trustworthy. Anybody building a house will understand this and those that set out on similar projects will soon find it out! I’m writing this post to help those working on similar projects in Dublin or anywhere else in Ireland. I wanted to give people embarking on similar projects the benefit of a lot of research I’ve done into builders and other suppliers. The following are the contractors that I’ve come to work with and that I’ve been happy with. There are others that I won’t mention here that didn’t turn out so good for different reasons! Firstly there’s my main contractor, Pro Build. These guys have done work for me in the past when they built a sunroom for me on my former home (see the first picture in that link you just read past). They did an excellent job on the sunroom project so they were the first people I called for this bigger renovation project. These guys can do it all – window and door supplies, conservatories, sunrooms, conservatory roof conversions, complete house builds, public sector work and extensions and renovations like mine. They’ve really been great to work with and I would highly recommend them for any construction work you are considering – large or small. Because I’ve decided to go with quite a specialised heating system (an air to water heat pump and underfloor heating) I went with a specialised subcontractor rather than my main contractor. NI Solar are based in Northern Ireland (but do a lot of work in Dublin) and cover a range of renewable systems as well as standard heating systems and all domestic plumbing. In my case the are providing my air to water heat pump, solar panels, gas boiler, and underfloor heating in an integrated system. They are also doing all my domestic plumbing. I can’t recommend these guys enough. They’ve really been great to work with, really flexible, responsive to my design requirements and my deadlines and also very competitive on price. Mark, Kealan and Mike at Kitchen and Home Solutions have been working with us on the design, supply and fitting of our fitted kitchen, wardrobes, storage presses, utility room, tv cabinet, my home office fit-out and anything else we decide to come up with. They’ve even been able to supply all our kitchen appliances. They offer a really personable bespoke service and can work to deliver the best quality product your budget will allow. Couldn’t recommend them more. Bathroom design, fixtures, tiling and wood flooring was supplied by Devine Midwest Tiles in Ennis, Co. Clare. I came across these guys purely by chance – Nora who’s the boss here is a friend of a relative of mine and that’s how the connection was made. I called her looking for help with flooring and she impressed me so much I ended up giving her all my bathroom design, sanitary ware supplies, tile and wood flooring supply, and tiling. She really can do it all and the advice, guidance and support she’s given have really taken a lot of pressure off me. She’s done a tonne of research for me. She’s worked directly with my builder and with my plumber, and I haven’t had to get involved. Another highly recommended supplier – can’t say good enough things about her. Our house is quite an old one as far as houses in the suburbs of Dublin go – around 1920, so we decided to put some chandeliers in. We came across Martin Fennelly totally by chance one day when driving down Francis Street in Dublin when looking for fireplaces. My wife had had her eye on a particular chandelier from one of the countless home renovations magazines we had stacked up at home, and she spotted the exact one in Martins window when driving through Dublin. We popped in and discovered a treasure trove of beautiful chandeliers and antiques. Martin is a gentleman and provides a very personal service. He’s extremely flexible and if you like chandeliers and antiques I highly recommend you pay him a visit. David O’Neill from Liffey Financial Services has to get a mention here. David has helped me with everything from my mortgage to my life assurance to my house insurance. He’s a very knowledgable, helpful and overall nice guy. He offers lots of other financial services also such as pensions and investments, and I wouldn’t hesitate to recommend him – you’lll be glad you contacted him.